Brother Brigham had plenty to say about lawyers. Fun is to be had by all in these short sermons, fitly spoken. About Ron Heimberger (Author) : Ron Heimberger is a published author. 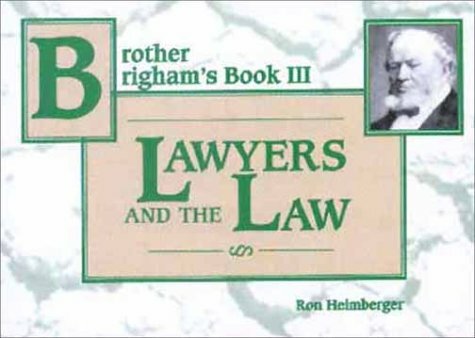 A published credit of Ron Heimberger is Brother Brigham Lawyers and the Law.